Microsoft finally unveiled its suite of Office apps for iPad on Thursday, but the company also made an important change to its apps for iPhone and Android mobile devices. With the latest update of Microsoft Office Mobile for iPhone and Android, editing Office files is now free for ‘home use’. Earlier, users could only view Word, Excel, and PowerPoint files on their mobile devices, but editing them required a paid Microsoft Office 365 subscription. It’s worth pointing out that Microsoft rivals Google and Apple both offer their respective office suite for free. While Google’s Quickoffice app is available for free for Android and iOS devices, Apple’s iWork suite of apps is free with any iOS or Mac device purchased since September last year. Google and Apple also have free Web-based suite of productivity apps. 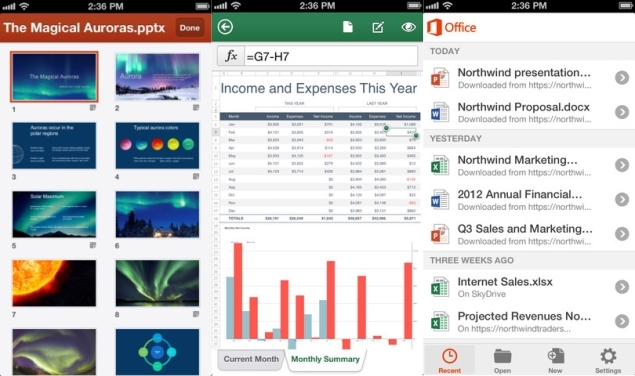 Though Microsoft says editing of documents via Office Mobile for iPhone and Android is free only for ‘home use’ and still expects enterprise users to purchase a subscription for Office 365, in the real world the company has no checks over where the app is being downloaded and used, so all users can benefit from this move. Though Microsoft has been dismissive of its rivals in the past, a new chief at the helm after Steve Ballmer’s departure seems to have prompted a change in the company’s approach. New Microsoft CEO Satya Nadella – in his first press briefing since landing the top job – laid out a vision of making the company the master of programs and services offered in the cloud for whatever gadgets people prefer. “Today is the first step on a journey to make this a great innovation vector for all of Microsoft,” Nadella said.